Rob is a member of the firm and practices in the areas of business litigation, administrative and regulatory law, and election law. 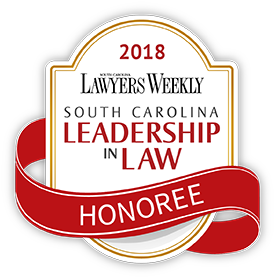 Rob has represented clients before the South Carolina Supreme Court and other levels of state and federal courts, and has appeared before many local and state government entities. He has litigated complex constitutional issues, election law issues, and numerous business disputes. Rob provides counsel on ethics matters including representation before the South Carolina Ethics Commission and the Legislature’s Ethics Committees. He has litigated numerous election disputes, with clients including incumbents, challengers, county election commissions and other interested stakeholders. He often appears before local government councils, boards and commissions on issues ranging from procurement to annexation matters. After the 2010 Census was released, Rob represented government entities in redistricting challenges. As co-counsel for the South Carolina House of Representatives, he defended the House redistricting plans at the trial court level and through the appeal to the United States Supreme Court. Rob also has extensive experience in matters involving utility companies representing clients in rate proceedings and other regulatory matters before the South Carolina Public Service Commission. Rob is also a South Carolina Certified Mediator. As part of his service to the community, Rob regularly volunteers for the Midlands Mediation Center, a group that provides mediators for small claim matters in magistrate court.